On July 8, 2013 Ted Young was informed by Doug Graham that someone had re-damned up the inlet between Poplar and Little Ollie Lake. This work was done on or about July 6. According to Doug the person that put-in the new dam had been give permission to do so from Cliff Bentley Minnesota DNR Hydrologist stationed in Duluth. 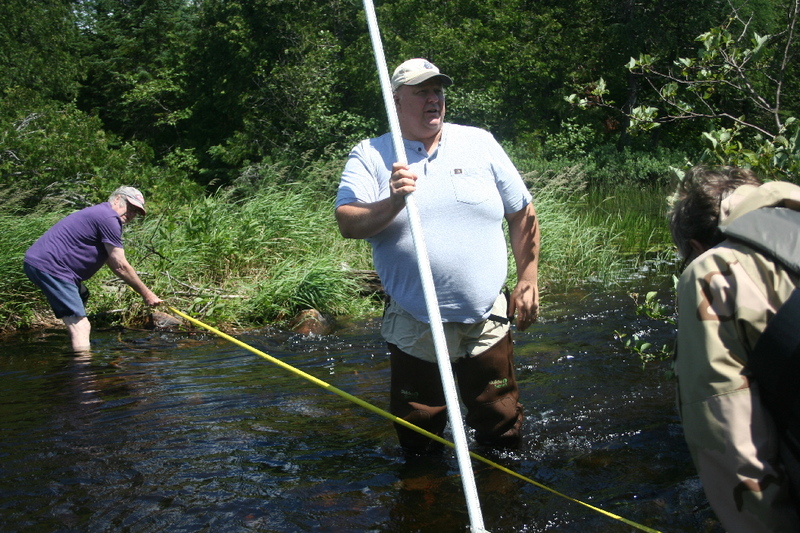 Jim Ross, his son-in-law and Ted inspected the new rock dam the next day and noted that it appears to be higher then set by the DNR and re- agreed upon following the remove of the illegal dam constructed across the inlets in 2006. It was also clear that this new dam was a barrier to navigation between the two lakes. Next Ted called Bentley to inform him of the new rock dam. In response Bentley state that no one had talked to him recently about adding more rocks to the inlet and if rocks were added it was not authorized and those rocks could be removed. Ted and Bob Peterson were contacted by Bentley that he would meet with representatives of both lakes at the inlet at 11:00 am on July 19. Bentley also noted that he thought that Bob was involved in the construction of this new dam. Attending this meeting with Bentley from Little Ollie Lake was: Ted Young, Steve and Joanne Nickols; and from Poplar Lake were Bob Peterson, Jim Kloek and Doug Herron, along with several other public employees. At the meeting Bentley recalled that Bob Peterson did call about a year ago and was given permission to replace some rocks. 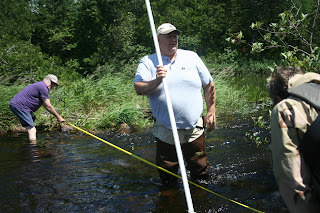 The water depth over the newly constructed rock dam at the inlet was measured, by a USFS employee, at one foot intervals from one side to the other. The only section that was within the previously agreed upon lake level was the a few feet on the south side of the inlet where Ted had two days earlier removed rocks from the dam to create a navigation channel. It was agree by all attending the meeting and approved by Bentley that a navigation channel could be maintained on the south side of the inlet. The size of this navigation channel beginning at the south shore of the inlet could not exceed six (6) feet on the top slopping down to four feet at the bottom. The bottom of this navigation channel was not to exceed the previously agreed upon level. It was further agreed that before anyone from Poplar Lake added any rocks to the inlet someone from Little Ollie Lake would be notified. During the meeting Bentley displayed a lake level chart for Poplar Lake showing the annual water level fluctuation and he stated that the water level of Poplar Lake normal fluctuation was between one and two feet annual. Poplar Lake water level monitoring station was first maintained by Fred Dell on Voyager Point beginning in August of 1968. The monitor station is now maintained at Rockwood Lodge.